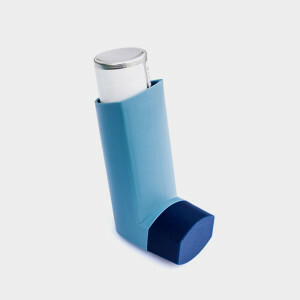 Older inhalers contain chlorofluorocarbons (CFCs). CFCs can damage the ozone layer, so never throw them in the trash. Follow the disposal instructions on the inhaler’s label and dispose of as Household Hazardous Waste. Do not puncture the container or throw it into the fire because an inhaler is an aerosol product and could explode. Some pharmacies and law enforcement offices are registered with the DEA as authorized drug collectors; you can drop-off used inhaler cartridges at these locations. Find a DEA-authorized disposal location. You can send in FLONASE outer plastic packaging and empty FLONASE nasal spray cartridges to the FLONASE Recycling Program, which is a free recycling program through TerraCycle. Find out how to mail in your FLONASE products and packaging.